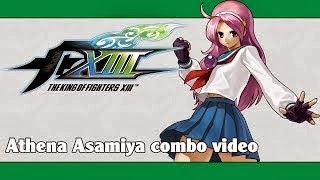 A new King of Fighters XIII combo video has hit the web from PersonaWorld. Watch Athena Asamiya go to work in the lab inside. Another King of Fighters XIII combo video? It must be PersonaWorld at the helm. In this case, it is and this time it's Athena Asamiya who gets the call.